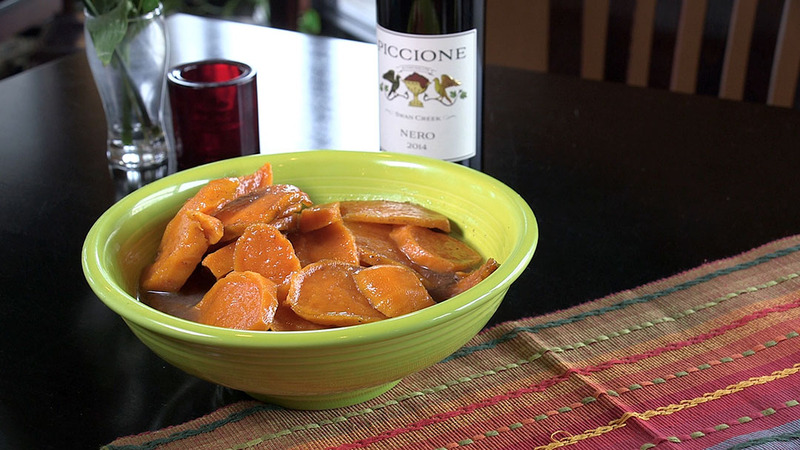 In a large baking pan or casserole dish, make a layer of sweet potatoes. In a medium bowl, combine the white sugar, brown sugar, cinnamon and nutmeg. Cover the layer of sweet potatoes with a1/4 of the mixture. Sprinkle a little of the vanilla and lemon extracts. Dot the layer with ¼ of the butter cubes. Repeat layers until potatoes, sugar mixture, extracts and butter are used. Cover the pan with aluminum foil and bake at 375 degrees for 1 1/2 hours or until the potatoes are tender. Remove the foil and drain ½ of the liquid then bake uncovered for an additional ½ hour to caramelize the potatoes and syrup.